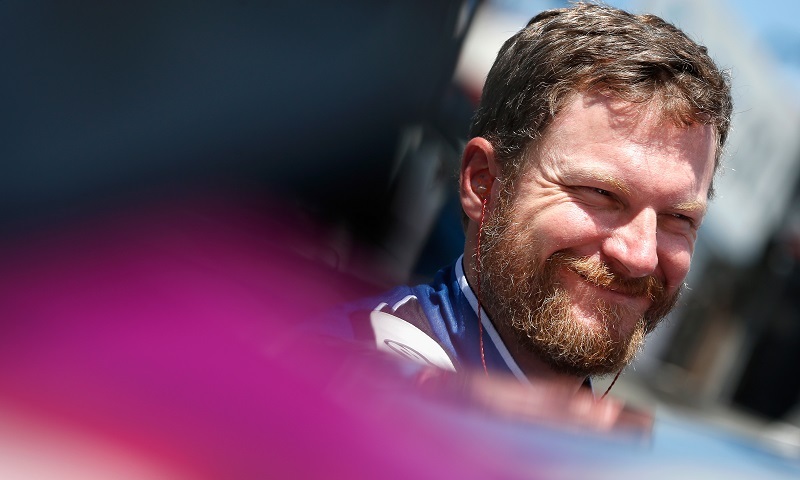 MOORESVILLE, N.C. – Perennial NMPA Most Popular Driver and now-analyst for NBC Universal Dale Earnhardt Jr. has confirmed that his racing days in NASCAR’s top three series aren’t over, despite retiring from full-time Monster Energy NASCAR Cup Series competition at the end of last year. Earnhardt confirmed Sunday night on Twitter that he will compete in the NASCAR XFINITY Series event at Richmond Raceway on Sept. 21. Referenced in his Tweet, Earnhardt hopes to add additional XFINITY Series races to his calendar this season, while also building additional sponsorship for his four full-time drivers at JR Motorsports: Elliott Sadler (No. 1), Michael Annett (No. 5), Justin Allgaier (No. 7) and Tyler Reddick (No. 9). Richmond Raceway has been a good place for Earnhardt during his career in the XFINITY Series. In seven career starts, he’s won there four times, scored five top-five and six top-10 finishes, recorded an average finish of 6.7 and secured an average starting position of 5.4.